We know this can be frustrating so here are solutions to help sort this out for you as quickly as possible. Getting one of these errors? Login failed! User name does not exist. Login failed! The password you entered is incorrect. There is a known cache/cookie issue with Safari on Apple devices that can stop certain websites from working properly. In this instance, Please try Chrome or Firefox browser or see this page for more options. This is not an issue with our website it is a Safari/Mac problem and as such it is proving difficult to rectify. However, please help us look into this by completing this short form. Please include your email if you would like a reply. Used a different email address when you originally registered. Maybe you have more than one? Made a typo in your email address when you registered. This is quite common, it is easy to mistype '@' or miss a dot etc. Made a typo when you typed your email address into the forgotten password feature. If you are in a rush, simply register again with your email address (but without any typos). 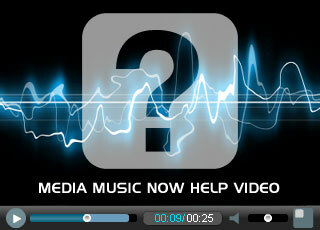 You should receive your Media Music Now welcome email with login details within minutes. If your welcome email does not arrive and it is not in your spam/junk folder please contact us via Help & Support. Alternatively contact us via this Priority Support Form if the matter is urgent and we will help you out. Are you copying & pasting your password from email? Due to formatting issues with email / html text, copying and pasting directly from email can include spaces that prevent your password from being recognized. Remove formatting using a basic word processing software such as Notepad for windows or TextEdit for Mac. Alternatively, carefully type the password and let your browser remember your password for future visits. If you keep getting this error then it is likely you are entering an incorrect password. This sometimes happens if you have updated your password previously and are trying to access using your original password. Not received your login details? Upon registering for the first time you are automatically log'd in for that visit. Your login details will be needed the second time you visit us. If you are returning and can't recall your password search your email with the following phrase Welcome to Media Music Now. This should locate your login details. If you don't appear to have received your login details please check your spam / junk folder in the first instance. This is quite common. Not in your spam or junk folder? If your password does not arrive and is not in your spam/junk folder please contact us via Help & Support. Alternatively, contact us via this Priority Support Form if the matter is urgent and we will help you out.